Courtesy of COLDWELL BANKER RESIDENTIAL RE. Look no further! This home has all the space you need to feel cozy yet has plenty of room. Over 1500 square feet offers a huge kitchen with lots of counter space, a dinette for quick meals and a formal dining area for entertaining. The living area is spacious for TV or a good book. The master suite has a walk in closet and a great linen closet. A walk in shower is an added plus. The 2nd bedroom & bath are at the other end of the house for guest privacy. The inside laundry has room for a freezer, folding table or whatever you need. A screened patio with vinyl windows is another plus. The roof is 2018 and the A/C has been maintained yearly. Please, send me more information on this property: MLS# L4906012 – $110,000 – 1808 Quail Hill Dr, Lakeland, FL 33810. 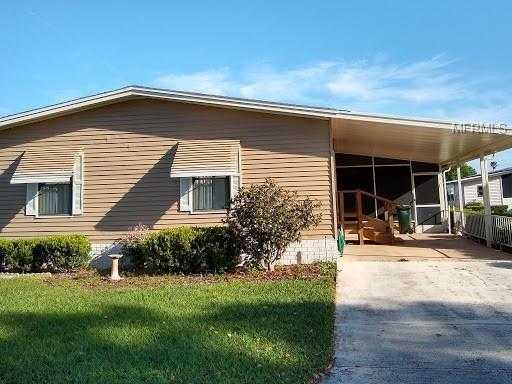 I would like to schedule a private showing for this property: MLS# L4906012 – $110,000 – 1808 Quail Hill Dr, Lakeland, FL 33810. This content last updated on April 20, 2019 15:59. Some properties which appear for sale on this web site may subsequently have sold or may no longer be available. © 2019 Gerard Floyd — Gerard Land Aquatic. All Rights Reserved. Real Estate Website Design powered by Home Junction. Information herein deemed reliable but not guaranteed, representations are approximate, individual verification recommended. IDX information is provided exclusively for consumers personal, non-commercial use, that it may not be used for any purpose other than to identify prospective properties consumers may be interested in purchasing. This content last updated on April 20, 2019 13:59. Some properties which appear for sale on this web site may subsequently have sold or may no longer be available.